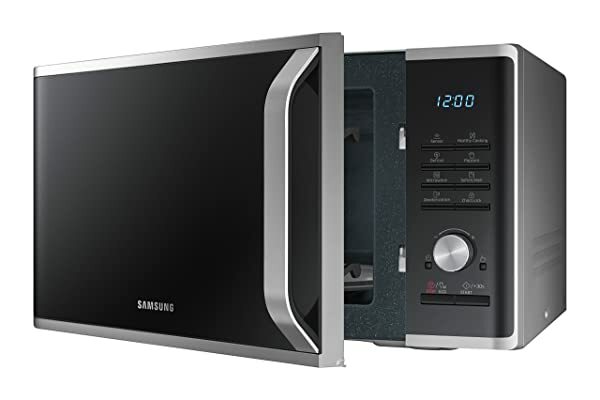 You’re probably looking for the best compact microwave oven because you have limited needs in this type of kitchen appliance. Really, you don’t need a bulky cooking device if you have simple requirements in a microwave. If you’re living in an apartment, or condo, or a dorm, a compact unit would also be practical because of the limited space. Still, in this situation, getting the best model with all your needed features is very important. The good news is that compact microwaves are also more affordable than full-sized models. So, if you’re on a budget, having the option to get a small model also works to your advantage. Which is the Best Compact Microwave for the Money? A microwave has become a necessary kitchen appliance because of its practicality and usefulness. It is mostly known for its fast heating ability and it heats up evenly, too. 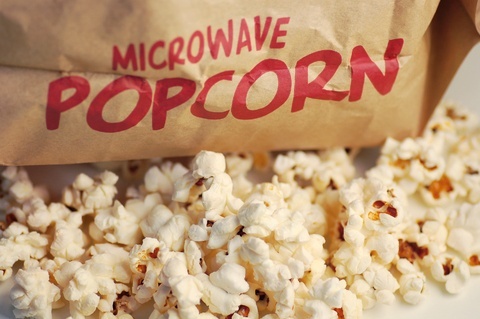 Because of its high heating ability, making popcorn in a microwave only takes a few minutes. You can also heat food and beverages in it. A microwave oven is also convenient to use because microwave-safe containers have been invented. Therefore, you can heat and store food in just one container. There are 2 basic types of microwave ovens – countertop and over-the-range. Countertop microwaves are small enough to be accommodated on kitchen counters. Still, there are big and compact models to choose from. C﻿lick here to choose the best countertop microwave in the market. This type of microwave needs to be installed into cabinets. Because of its venting system, installing such models require more work and effort on the part of the user. Over-the-range types are big and bulky, but they are considered space savers because they don’t take up any space on the kitchen counter. 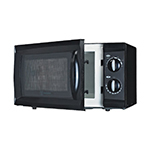 click here to know more about the best over the range microwave oven. Later on in this particular post, I will review 10 countertop types of compact microwaves, so watch out for that. It’s more economical to use compact microwaves than bulky ones as they consume less electricity to operate. 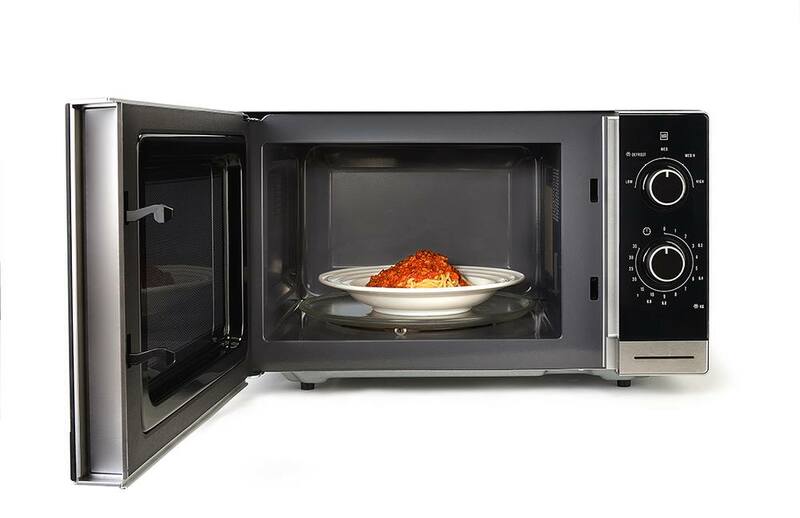 A small compact microwave oven can perform just as well as standard microwaves. Space – How much space are you willing to give to your microwave? 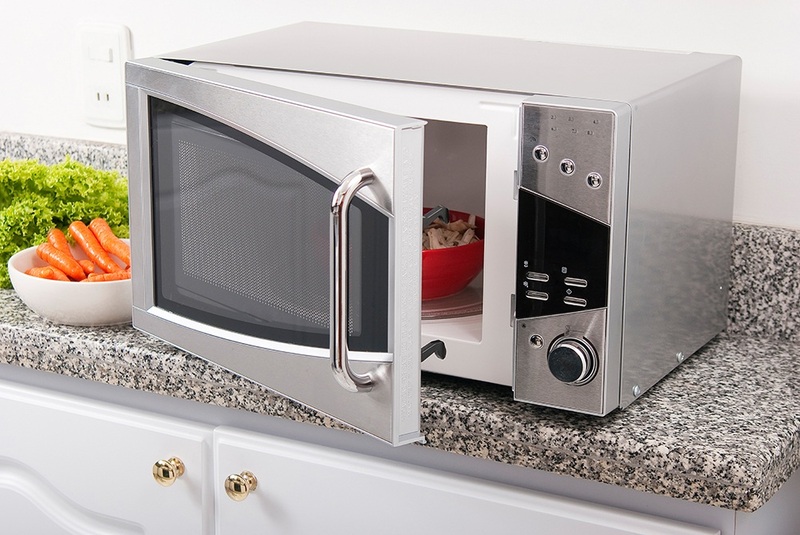 In this article, I will cover microwave ovens with sizes of 0.5 to 1.0 cubic foot. Cleaning Procedure – As you will be cooking food in your microwave, it should be cleaned and sanitized regularly. The interior and exterior design are therefore important for this purpose. Knowing what a model is capable of will help you decide if it’s the best unit for your needs. Below is a list of features that you should especially look into when buying a microwave. Power – The microwave’s power will dictate the speed and efficiency of a particular unit. Higher wattage means faster heating and a more even spreading of heat. Capacity and Size – Go for a model that has a compact exterior but a spacious interior. Think about the amount of food you will put into the microwave. The turntable should be at least 10 inches in diameter to accommodate enough portions of food (and regular sizes of microwave-safe containers). Power Levels – Having a lot of power levels is important as this will allow you to use your desired heating setting on a particular dish. This will affect the texture of food in the end. Child Lock Safety – If you have children or minors in the house, having a child safety lock is very important. The microwave oven is a cooking appliance, after all, and can cause injuries. With Convection Functionality – You have the option of choosing a microwave oven that comes with a convection functionality. This makes your microwave even more useful and functional because it can do so much more than a standard microwave. The Cuisinart CMW-100 countertop microwave oven is also a convection microwave. If you’re impressed with this unit, you have 2 colors to choose from – brushed chrome and stainless steel. Power – It comes with 1,000 watts of power. Capacity/ Size – 1 cubic foot, with a 12-inch glass turntable. Power Levels – It has 10 power levels. Auto Cook Settings – It comes with 25 preset functions. Its exterior and interior are made of stainless steel. It comes with child lock safety feature. There’s a memory function that lets you customize settings. It’s not just a regular microwave oven – it’s also a convection oven. The door gives a loud bang when being closed. The odor is sometimes retained. This is the only convection microwave oven in this Top 10 list, that’s why this model is special. At 1 cubic foot, it is also the biggest of all the compact ovens enumerated here. Still, it’s one of the most powerful and the one with the most spacious interior. If your kitchen is not that small, consider getting this unit and it will serve you well. 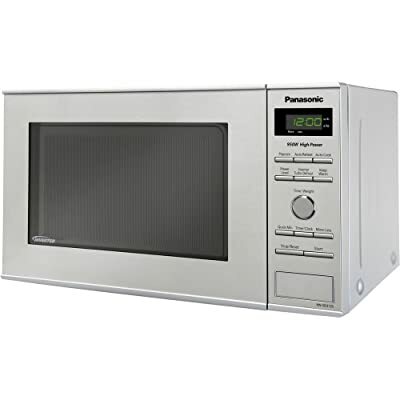 If you’re looking for a small but powerful microwave, consider the Panasonic NN-SD372S as one of your options. It’s only available in 1 color – stainless steel. Power – It’s powered by a 950-watt motor. Capacity/ Size – 0.8 cubic foot, and it comes with an 11.25-inch turntable. More/ Less Control – You can adjust the time and temperature on already preset settings. The turntable is spacious and can hold a standard size plate. It has a 1-minute option. It comes with a child safety lock. The digital LED readings are not that easy to see when at an angle. This model can possibly be the best compact microwave oven for couples and small families. It’s small on the outside but quite spacious inside. It is also very powerful for a small oven, so it can heat up really fast. Taking its place at the Top 3 spot is a small but powerful microwave oven from RCA. Should you decide to get this model, you can choose from the colors black, white, red, stainless steel, and more. Power – It has a 1,000-watt motor. Capacity/ Size – 0.7 cubic foot, with a 10 5/8-inch turntable. Auto Cook Menu – It has 6 one-touch cooking options. 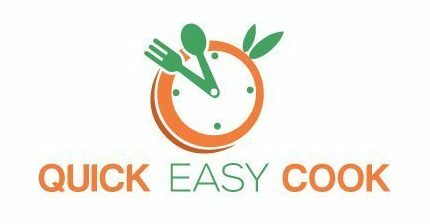 Cook by Weight – There’s an option for automatic cooking by weight. The control pad is easy to read. It’s a good looking kitchen appliance. The beeps are not too loud. It’s quite noisy during operation (the fan is loud). There are no options for 30-second and 1-minute time settings. If you’re going to get this model, know that it’s not that quiet during operation. While the beeps are not as loud as other models, the ventilation fan can be quite noisy when the unit is in use. However, if you can get past the noise and its other flaws, it’s really a powerful and efficient microwave oven. 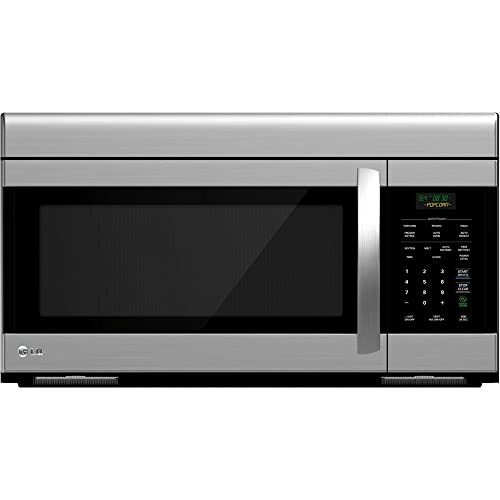 As one of the most compact microwave oven in this Top 10 list, the Whirlpool WMC20005YD is powerful and good looking. It comes in stainless look. Capacity/ Size – 0.5 cubic foot, with 11.5-inch turntable. Additional Time – It features an additional 30-second button. Safety Design – It has a child lock safety functionality. It works great in reheating food. The 30-second button is helpful in adding more time without having to punch a lot of buttons. While the unit is quiet during operation, the beeps at the end can be quite loud. This is a powerful little microwave oven. You can easily reheat food in it and cook popcorn as well. It’s simple to operate and it comes with a lot of preset settings like the beverage, defrost, melt, etc. If you notice, it even comes with a spacious turntable. 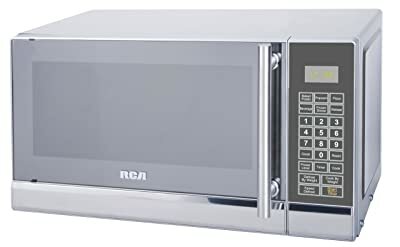 The Nostalgia RMO400 is a compact microwave oven that’s also unique-looking. It’s available in 2 colors – black and red. Power – It has an 800-watt motor. Capacity/ Size – 0.9 cubic foot, with 10.5-inch turntable. Control System – A knob or dial controls the unit’s settings. I like the retro design of this model from Nostalgia. It will probably appeal to Nostalgia fans and lovers of antique-looking appliances. As for its performance as a microwave oven, it’s not bad at all. 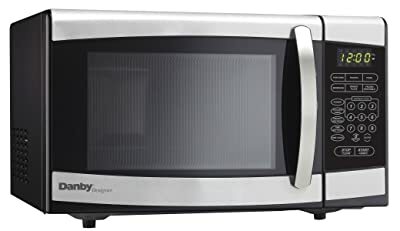 As another one of the most compact microwaves in this list, this Whirlpool compact microwave is also worth considering. If you’re interested in getting it, know that it’s available in 2 colors – black and white. Capacity/ Size – 0.5 watts, with 11.25-inch turntable. Control System – It comes with tap touch control system. Additional Time Option – It has a 30-second button. It comes in a modern design. You can adjust the power setting even during operation. The tap touchpad is very sensitive that the unit can accidentally activate when being cleaned. This small but powerful microwave oven can get the job of reheating and cooking food done properly. If it wasn’t for the price (it’s quite expensive), I would have rated it higher in this Top 10 list. 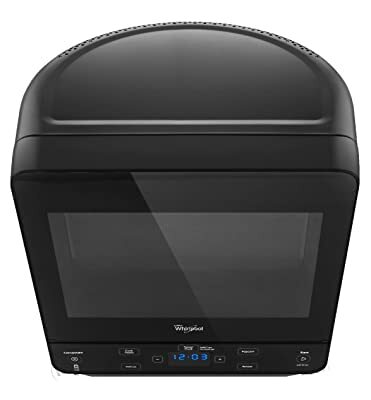 The Whirlpool WMC20005YW is another countertop compact microwave oven. It’s also worth considering when looking out to buy this type of kitchen appliance. It’s available in one color – white. Power – It has 750 watts of power. Capacity/ Size – 0.5 cubic foot, with a turntable that measures 11.5 inches. Power Levels – It comes with 10 power levels. Control System – It has a tap touch control technology. Additional Time Option – It features a 30-second button. It comes with a spacious interior. It’s quite tall and can be difficult to fit under the cabinet. 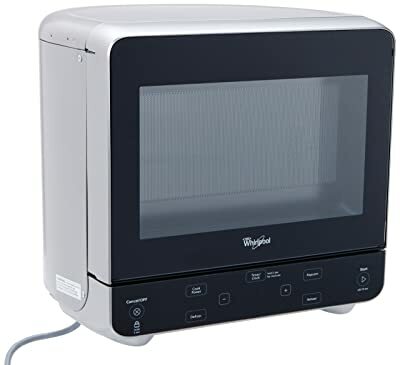 This is a great compact microwave oven, but it’s quite loud during operation – and the beeps are loud too. And since it comes in a square-shaped design, it can be quite tall and hard to accommodate in a small kitchen. As another countertop microwave oven, this is a powerful model. If you want it, it’s available in several colors such as white, black, stainless steel and more. Power – It comes with 900 watts of power. Capacity/ Size – 0.9 cubic foot, with a turntable that measures 10.83 inches. Power Levels – There are 10 power levels in this model. Display – It comes with the green LED display. Auto Cooking Settings – It has one touch buttons for the 6 cooking options such as popcorn, pizza, potato, beverage, frozen, and reheat. It comes with child safety feature. This model beeps loudly when heating is done. This is a powerful model of microwave, there’s no doubt about it. At 0.9 cubic foot, it’s not as compact as the other models in this Top 10 list. Still, you can consider it if your kitchen is not that small. 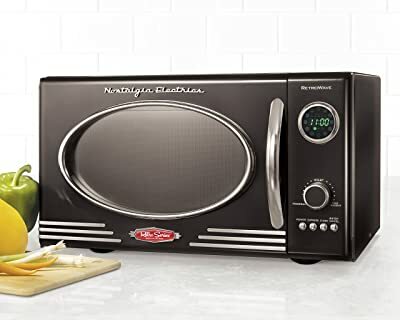 The Westinghouse WCM660B countertop microwave oven is a model that’s worth considering when looking out to buy a small unit. You can get it in 2 colors – black and white. Power – It has a 600-watt motor. Capacity/ Size – 0.6 cubic foot, with a turntable that measures 9.5 inches. Timer – The timer can be set up to 30 minutes. Control System – It uses a dial or a knob when programming the unit. There’s a “ding” after finishing an operation instead of a loud beep. Not having a digital control is economical. There are only 6 power levels, which is quite limiting. There’s no clock and timer countdown. This is indeed a compact microwave oven, but it’s also low-powered. It only has 6 power levels, which can limit the flexibility of heating food. This is a countertop model of compact microwave oven. It’s available in different colors such as black, white, black and stainless steel (combination), etc. Power – It comes with 700 watts of power. Capacity/ Size – 0.7 cubic foot, with 10.5-inch glass turntable. 1-Touch Controls – There are 6 preset settings to choose from. Turntable Design – It comes with a glass plate. This unit heats up fast. The beeps are not that loud. There are no 30-second and 1-minute options. This microwave oven is compact, but it’s not that powerful. Still, it can heat up small portions of food effectively. 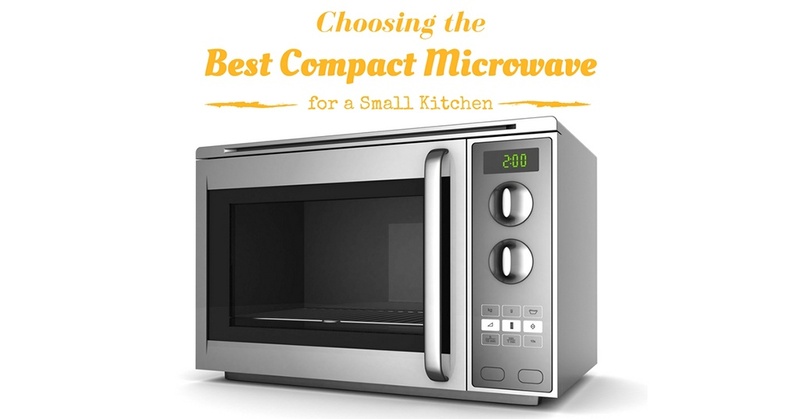 When I created the Top 10 list of the best compact microwaves, I considered all the features, pros and cons of the products included in the list. 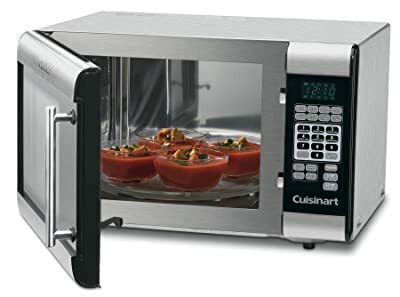 The Cuisinart grabbed the Top 1 position because it’s also a convection oven (it’s more functional than a regular microwave). I really don’t know how compact of a unit you’re looking for, but this model is only 1 cubic foot. It’s also the most powerful oven on the list with the largest turntable as well. If you are not after the convection function of a microwave, the Panasonic also makes for a good choice. It’s small and compact at only 0.8 cubic foot, but it’s powered by a 950-watt motor. Its turntable is also quite big, so it can accommodate large plates of food. The RCA is another small but powerful unit (and a good option). At only 0.7 cubic foot, it has 1,000 watts of power. It is indeed a fast heating, compact model that’s reasonably priced as well. 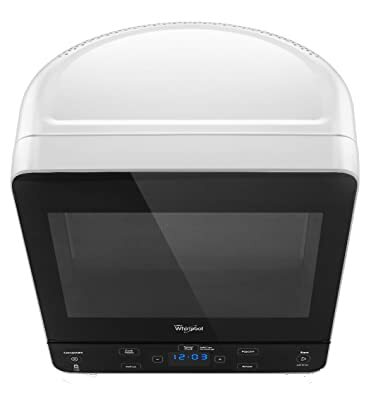 Lastly, I would like to recommend the Whirlpool models in the Top 10 list, especially the Whirlpool WMC20005YD (a lot of Whirlpool microwaves are included in the list because they’re all good). This particular model is highly recommended because it’s small at only 0.5 cubic foot and its wattage is 750 watts. It’s not that powerful, but it’s functional nonetheless. I specifically like its square design (versus the typical rectangle shape) because it takes up less space on the counter. Oh well, those are my top recommendations, but you can still choose from the other models in the list. 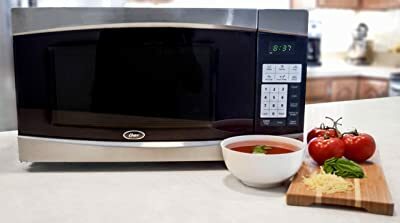 I enumerated their features, pros and cons for you to easily compare them with one another – and I believe you will be able to make the right choice when choosing the best compact microwave for you. Do leave me a message as to which one you’re planning to get. 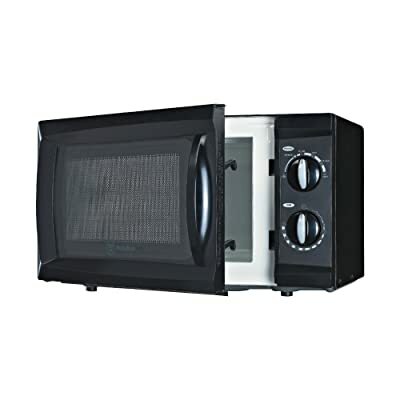 You can also share this post with your friends who are also looking for a small microwave oven.